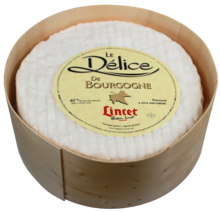 Délice de Bourgogne is a French cow's milk cheese from the Burgundy region of France. 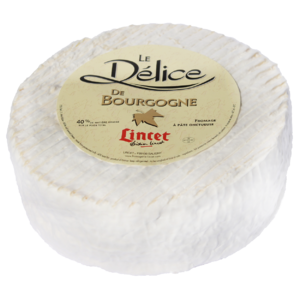 It was first created in 1975 by Jean Lincet at Fromagerie Lincet. It is a soft-ripened triple-cream cheese. The creamy texture results from the extra cream that is added during the cheese-making process.